To and From the Airport.com - Cayman Islands. Your on-line guide to airport travel. Location: At the very Western tip of the island, near Brac Reef Beach Resort & Carib Sands Beach Resort. By Taxi: Taxis are generally available or can be summoned. Rental Cars: AVIS & HERTZ. B&S Motor Ventures rents scooters from US$30 per day. Airport Tax: US$10 payable on departure. Location: 5 km/3 Miles E of Georgetown. Airport Overview: One small terminal divided into departures and arrivals sides. The Car rental plaza is 200m from the terminal. By Road: Drive to Seven Mile Beach 10-15 mins. General: As you exit customs, taxis and the taxi dispatcher can be found to the left. The dispatcher can quote fares to various places round the island. Taxis are available 0600-2300. Approximate Costs: To Georgetown US$15/10-15 mins. To Courtyard by Marriott Hotel $29. To East End $69, West Point $34, Morgans Harbour $37, Mount Pleasant $36, Papagallo $42, Bodden Town $40-50. Taxi Companies: ACE NICE Taxi 949 3676, AAA Yellow Cab 444 4444, Ace Taxi & Tour Service 777 7777, Charlie's Super Cab & Tours 888 8888 & Taxi Service & Tours 949 5702. Grand Limousine Services: Contact: Tel (345) 943 LIMO. By Bus: Many hotels will provide courtesy pickup at the airport. 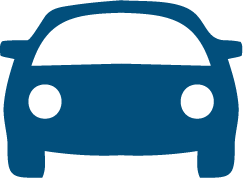 Rental Car Plaza: The car rental plaza is a 200m walk from the terminal. Exit arrivals and turn left. Walk past the departures side of the terminal and keep going. Cross the road and you will find all the car rental companies there. Some of the companies have key-drop boxes in departures for customers returning cars there. Rental Car Providers at the Car Rental Plaza: AVIS +1 (345) 949 2468, Budget (345) 949 5605, Coconut Car Rental (345) 949 7703 or 1 800 941 4562 open 0800-2200, Cico, Discount (345) 943 9550 Dollar (345) 949 4790, Economy Car Rental (345) 949 9550, HERTZ/Ace Rent a Car (345) 949 2280, Marshalls & Thrifty (345) 949 6640. Other Rental Car Providers: Andy's Car Rental (345) 949 8111, is across the short term car park from the terminal, near Long Term car parking. Car Parking: Short Term: Opposite the terminal: CI$ 2 per hour or part hour. Long Term: Across the short term car park, 300m walk from the terminal: CI$ 7 per day or part day. Airport Tax: Airport departure tax uis now included in the ticket price and not payable separately. Notes: ATMs/Cash machines in the departures building, near the toilets. There is a mail box in the departures building. Airport Tel No: +1 (345) 943 7070. Location: At the Western end of the island near Blossom Village, Pirate's Point Resort & Paradise Villas. Rental Cars: Jeep Rentals (345) 948 4500 & McLaughlin Rentals (345) 948 1000 can arrange for cars to be delivered to the airport. Daily rates start at ~US$75.